There’s been plenty of commentary about Toohey Brothers’ Darling Pale Ale and its accompanying press release. Well they’re not Robinson Crusoe when it comes to lowering a prospective drinker’s expectations. 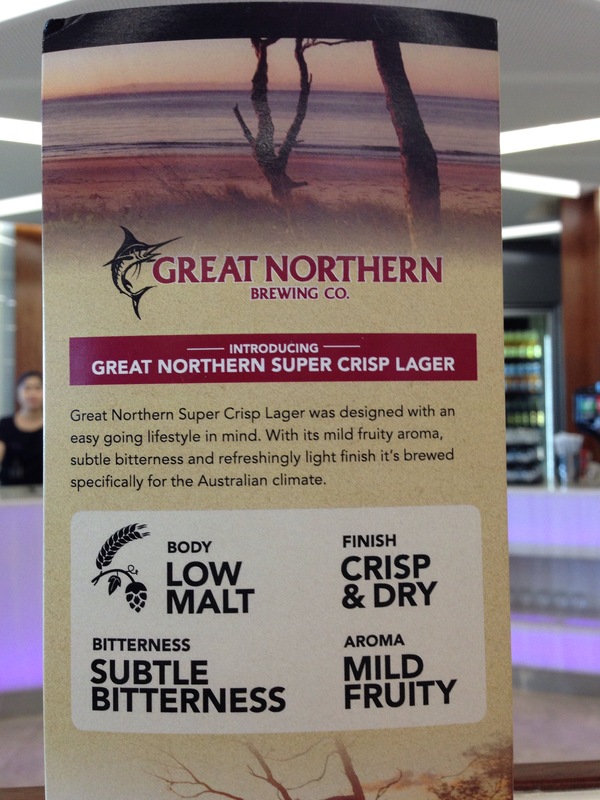 Now it is generally recognised that describing a beer as super crisp is also a euphemism for “we’ve stripped all taste out of this” – but “Great Northern Brewing Co.” has also decided Malt is a no-no as well. At least Suntory is the most honest – see below. The difference between Great Northern Super Crisp Lager and Suntory’s All-Free? An ABV reading.